A water fountain on the Esplande; surely a sign of warmer weather ahead. What a great way to catch the movement of water!I almost can hear its murmur ! Love the water arch and it has worked really well in b&w; don't think this would be so good in colour. Some fountains are back running here too..
Like you said it's a good sign! LOL! I thought it was a park fountain in the shape of a gigantic drinking fountain. Something simple made to look extraordinary! Nice capture. I like the ripples in the water. 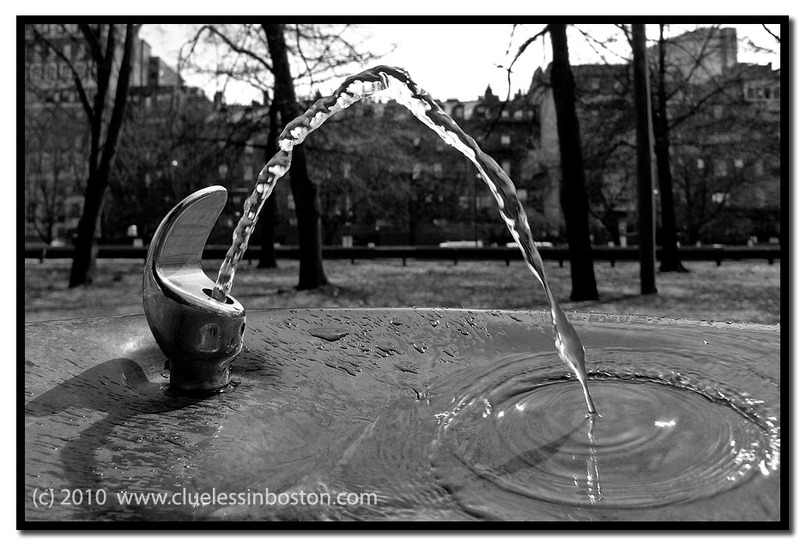 My Boston friend calls them "Bubblers" hahaha I love that!